Australia depends heavily on its fleet of trucks. More than three quarters of non-bulk freight goes by road and export volumes will only increase. Trucks connect farm gates across Australia with ports and airports and bring goods to communities throughout the country. But the people to drive those trucks are in short supply. The workforce is also ageing and according to industry estimates, recruitment may need to increase by 150 per cent to offset retirement and meet demand. And it’s not just about numbers. The industry also needs to help change public perceptions. Research shows that younger people are being turned away by fears that a trucking career will involve arduous hours and poor conditions. “We know that for some people, particularly women, it can be difficult to see the steps required to pursue a career in transport and logistics,” said Lauren Pemberton, General Manager Human Resources, Linfox. “We also know there are perceptions that the job will require long hours, time away from home or heavy manual handling requirements. The reality is that a career in transport and logistics can be incredibly rewarding and enriching,” said Lauren. Linfox has teamed up with Australia Post, Wodonga TAFE, Volvo Australia and Transport Women Australia to remove the obstacles impacting entry into the profession, starting with an inaugural women-only driver training program. The four-week training program kicked off in July and equipped the eight participants with the skills required to safely drive a heavy rigid truck. Since graduating, all eight women have been welcomed into positions within the Linfox and Australia Post fleets. 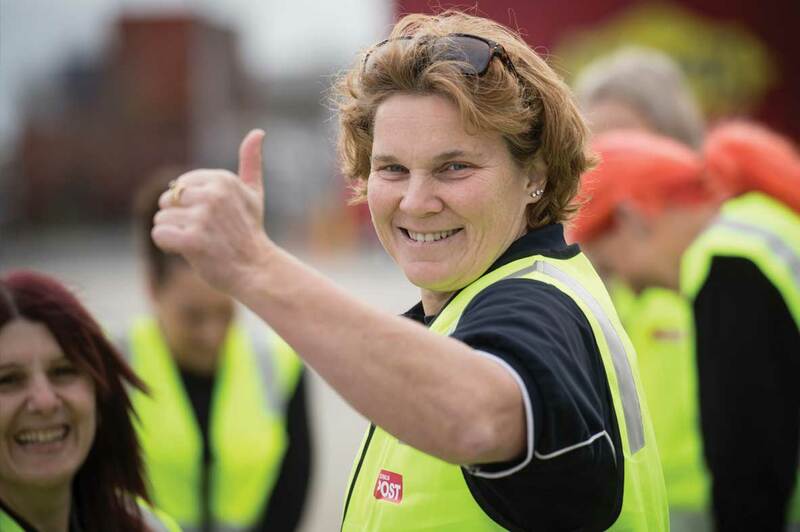 “We are investing to grow our workforce of skilled and talented drivers, and to increase female representation to ensure we can serve our customers better and continue to meet community needs, now and into the future,” said James Dixon, General Manager Transport & Aviation, Australia Post. “We value diversity and appreciate the benefits an inclusive workplace brings to our customers, our business, and most importantly, our people. We look forward to welcoming these talented new recruits, and many more, into our team,” he said. The Female Driver Program is part of Linfox’s ongoing work to build a strong, diverse and highly skilled workforce, said Sondra Kremerskothen, Group Manager Training, Linfox. “While this first stage is focussed on women, future programs will work to address the needs of other demographics who, despite interest, may experience challenges pursuing a career within the industry. with graduates from the inaugural female driver training program in August.